Atmospheric confetti, inchworm crawlers, blankets of ground-penetrating radar: those are some of the unique mission concepts enabled by printable spacecraft technology. Astrobotic Technology, Inc. and Carnegie Mellon University have received NASA funding to begin work on Spelunker, a prototype mission concept to explore a lunar cave. Although the Moon has never had running water, which is responsible for most caves on Earth, it does have volcanic caves called lava tubes. In some locations, these tubes have partially collapsed to form openings called skylights. The Spelunker mission calls for landing on the rim of a skylight, followed by tethered descent of a power/communications hub and multiple robots. The robots would explore the interior of the cave using a combination of driving and hopping. Right now, Spelunker is funded by a $498,411 Phase II grant from the NASA Institute of Advanced Concepts. Phase II studies will address the feasibility of skylight access, robot configurations for in-cave mobility and subsurface sensing, terrain modeling in darkness from a lightweight mobile platform, and autonomous exploration with hopping robots. Time flies like a rocket. It’s been a little over a year since the last flight of a Blue Origin test vehicle. On 6 May 2011, Blue Origin successfully flew its New Shepard Propulsion Module 2 (PM2) on a short test hop. On 24 August 2011, Blue Origin flew the PM2 to Mach 1.2 and 45,000 feet. Unfortunately, the vehicle lost stability and exceeded its planned angle-of-attack, causing the range-safety system to terminate thrust. The PM2 crashed in the desert. The development of small, low-cost off-the-shelf satellite technology is enabling new capabilities for military as well as civilian users. The US Army is taking advantage of this technological revolution by developing three new satellites to provide tactical imaging for the warfighter. The Technology Center at the US Army Space and Missile Defense Command is developing Kestrel Eye, an imaging reconnaissance nanosatellite that can be tasked by warfighters on the ground. Kestrel Eye will produce images with a resolution of 1.5 meters (5 feet), which can be downlinked directly to soldiers in the field. Astronaut Neil Armstrong, the first man to land on the Moon, has passed way. It’s sad to think that his most notable accomplishment turned out to be a dead end. 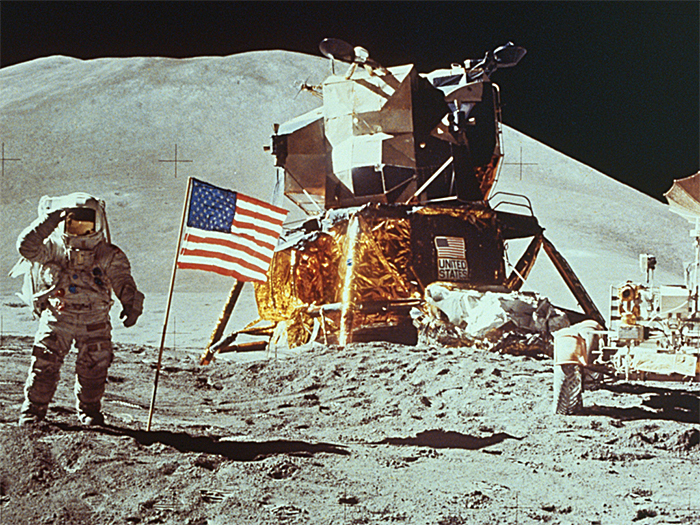 Armstrong, who was 82, landed on the Moon during the first half of his life. Armstrong was just 38 when he walked on the Moon, and just 42 when the Moon landings ended. For almost half his life, he would never again see a human walk on the Moon. Let’s hope that the next time humans visit the Moon, it will be done in a sustainable, affordable manner. Please note that won’t be done by government. Prior to Apollo, Armstrong piloted the X-15 and was one of seven astronauts chosen to fly the US Air Force X-20 DynaSoar. If Apollo had been canceled while DynaSoar and the X-15 were sustained, perhaps we would have humans on the Moon today. Or perhaps not – sustainable economic development is still the key. Weather has delayed the launch of two Radiation Belt Storm Probes on an Atlas rocket, which was scheduled for today. This is the second time the launch has been delayed. Launch crews are concerned about lightning and flight through cumulus clouds due to storm conditions south and east of Cape Canaveral. With Tropical Storm Isaac coming in, another launch attempt is not expected before August 30. Weather has also forced the postponement of a Terrier-Improved Malemute sounding-rocket launch, carrying four student experiments, from NASA’s Wallops Flight Facility in Virginia. Again, this was the second time the launch was delayed. 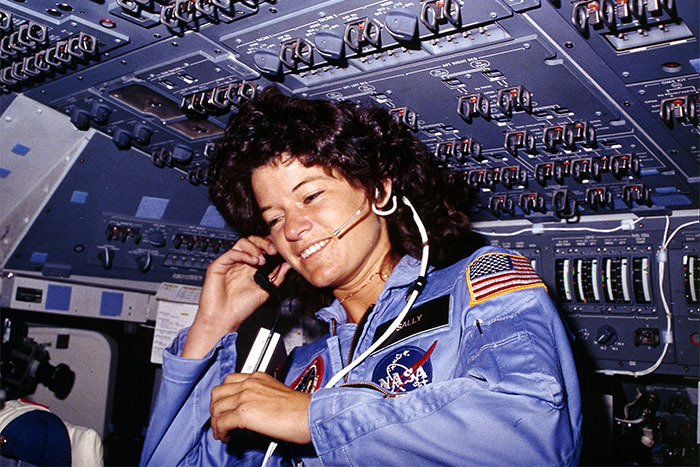 The first launch attempt, on Thursday, was delayed due to unauthorized boats in the launch area. Weather delays are common, even in aviation, but current launch systems are much more susceptible to weather than modern aircraft are. The result is poor dispatch reliability. That’s not a major problem for the current launches – neither the Radiation Belt Storm Probes nor the student experiments are time-critical – but it can play havoc on missions that have limited launch windows, such as planetary missions. Dispatch reliability will also be important for operational military missions, such as DARPA’s Space Enabled Effects for Military Engagements, and for future commercial missions. This may be an important operational advantage for ALASA, StratoLaunch, Launcher One, GO Launcher, and other airborne launch systems which have carrier aircraft that can fly around weather systems. A basic principle of economics says that if you reward a behavior, you will get more of it. In government space programs, managers who overrun their budgets can expect to receive additional funding. Managers who come in under budget may be targeted for future cuts. Their success proves they “don’t need” as much money. The system rewards managerial failure and punishes success. With the Kennedy Space Center Visitor Complex as a backdrop, XCOR Aerospace has announced its intentions to establish an operational base for the Lynx spacecraft in Florida. As market demand dictates, XCOR may also establish a manufacturing and assembly center for the Lynx Mark II. 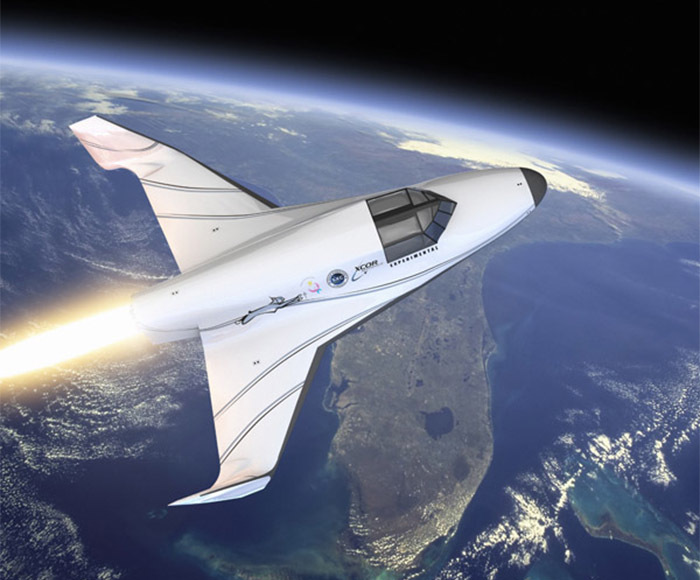 XCOR plans to fly the Lynx suborbital spacecraft from Kennedy Space Center’s Shuttle Landing Facility, the Cecil Field Spaceport, or other Florida location within the next two years. If the market for Lynx spacecraft grows as XCOR expects, the company will also begin assembly and factory test of Lynx production models, designed Lynx Mark II, on the Florida Space Coast, starting with Tail Number 3. Lynx production and operations could create more than 150 jobs by late 2018. The following video was produced by the Defense Advanced Research Projects Agency (DARPA). It shows the capabilities DARPA hopes to achieve through its Space Enabled Effects for Military Engagements (SeeMe) program. Contrary to popular belief, current reconnaissance satellites do not play a large role in tactical engagements on the military battlefield. The KH-series reconnaissance satellites were developed during the Cold War for monitoring the Soviet buildup and verifying compliance with arms-control treaties. Although the Cold War is long over, they are still optimized for that purpose. The immense cost of a KH satellite (comparable to the cost of a Nimitz-class aircraft carrier, according to former Senator Kit Bond) means the United States can only afford to have one or two in orbit at any time. The limitations of orbital mechanics mean that they are out of position for most targets at any given time. This is not a problem for long-term studies of stationary or slow-moving mobile targets, but it is completely inadequate for monitoring fast-moving fluid situations on the battlefield. The sort of real-time satellite reconnaissance seen in movies and TV shows is pure fiction. DARPA’s SeeMe program seeks to turn that fiction into reality. Achieving such capabilities will require responsive, low-cost launch systems such as the air-launch system depicted in this video. There’s a great deal of commonality between the launch requirements for responsive military space systems like SeeMe and the requirements of commercial space and citizen science. Much more so than there is with the International Space Station, whose required flight rate is quite limited by comparison. Dennis Wingo has posted an excellent article on nuclear power systems for lunar development. One problem he fails to address is political opposition to launching nuclear materials into space. Public protests and legal challenges have been a headache for NASA programs like Cassini in the past. They could be a showstopper for commercial ventures in the future. The radioisotope thermoelectric generators, or RTGs, used by Cassini carry a small amount of nuclear fuel compared to the reactors which would be required to power a lunar base. So, it should be expected that environmentalist opposition to launching nuclear reactors would be even stronger. Yet, that political problem could also represent an opportunity for lunar development. Nuclear power will be important for lunar bases, which need to operate throughout the two-week lunar night when solar power is not available, but it’s even more important for deep-space missions to the outer solar system. Human missions to Mars are feasible with chemical rockets, but just barely. If humans are to venture beyond Mars, nuclear rockets will be essential. 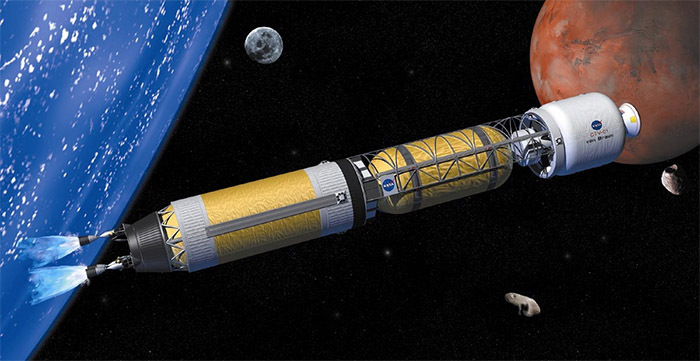 Launching the large reactors for nuclear thermal rockets (like the NASA concept shown here) will always be a political problem, as long as the reactors contain nuclear fuel. An obvious solution is to launch the reactors without reactor fuel onboard. 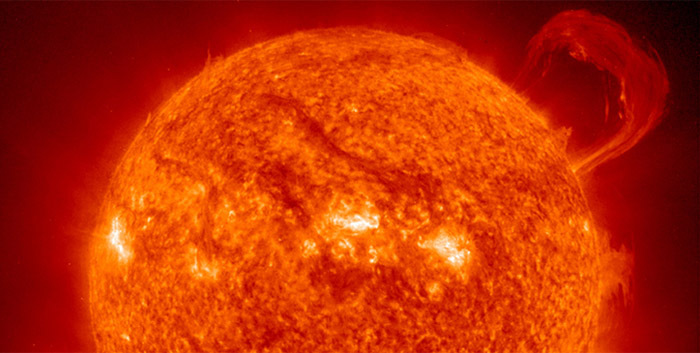 The engines could then be fueled on orbit with nuclear material from extraterrestrial sources. The logical source for that nuclear material is the Moon. The presence of uranium on the Moon was detected by the Japanese Kaguya space probe in 2009. Based on our discussions with engineers at NASA’s Johnson Space Center, mining uranium on the Moon is an interesting possibility. If uranium mining on the Moon turns out to be feasible, it could be very important to lunar development. More important, perhaps, than platinum-group metals, which have received far more attention. Platinum-group metals are generally discussed in the context of terrestrial applications, such as fuel cells for electric cars. Although promising, the use of lunar materials for terrestrial applications faces serious challenges and competition from terrestrial sources and substitute materials. Mining uranium for use in space (or on the lunar surface) does not face the same stiff competition, especially if political factors make it impossible to launch nuclear materials from the surface of the Earth. A more speculative use for lunar uranium might be fueling large nuclear reactors in Earth orbit that beam power back to Earth by microwave or laser beam. Orbiting power plants, while perhaps not cost-competitive with ground-based power, might become necessary if environmental opposition continues to block construction of new nuclear plants on Earth while global-warming concerns limit the use of fossil fuels. More data on lunar uranium deposits is certainly warranted and should be a priority for future reconnaissance missions. Water ice will likely be the first mineral to be economically extracted from the Moon (if current estimates of its availability are verified by future missions), but uranium might turn out to be more important in the long term. At some point, lunar ice deposits will start to diminish, and with a growing lunar population, it will no longer make economic sense to export water – a development anticipated by Robert Heinlein in his classic novel The Moon is a Harsh Mistress – but uranium deposits might last a lot longer. The Moon could serve as the nuclear fuel depot that provides the key to the solar system. The Houston Chronicle reports that Rep. Frank Wolf (R-VA) and Rep. John Culberson (R-TX) are working on a new budget bill that would give greater stability to the NASA budget. Their bill would create a 10-year appointed term for the NASA Administrator and a multiyear budget cycle for NASA. The Congressmen are addressing an old complaint from some pundits in the space-policy community. According to these commentators, NASA’s success is impeded by the electoral cycle, which brings changes to the makeup of Congress every two years and a new President every four to eight years. Each time, there are major changes or minor tweaks to space policy, which make it impossible for NASA to effectively pursue long-term projects. This bill is troubling for two reasons. First, because it attempts to insulate NASA from political control and the electoral process. Making unelected government bureaucrats less accountable to the American people is never a good thing. Wolf and Culberson justify their action by pointing out that the Federal Bureau of Investigation enjoys similar protections. The problem with that analogy is that it’s not analogous. NASA is not a law-enforcement agency. It does not conduct legal investigations that may affect politicians and political interests, so the justification for long-term political autonomy does not apply. Second, the bill fixes the wrong problem. What NASA needs is shorter planning cycles, not longer. The National Geographic Channel did a nice program on the building of Spaceport America. This episode of Megastructures does a good job of conveying the scale of the undertaking. It’s also interesting to see the little town of Hatch, NM. Central Market in Texas is currently holding its annual two-week Hatch Chili Festival. If not for Central Market, most people would never have heard of Hatch. If successful, Spaceport America will provide new opportunities for many locals. At the same time, however, we must compare the $200+ million being spent on Spaceport America with the $40 million in incentives which Midland, TX is offering to XCOR Aerospace. New Mexico is staking a lot more money. Will Virgin Galactic and Spaceport America be five times as successful as XCOR? This demonstrates, of course, the cost advantage of an existing airport like Midland International or Mojave over a greenfield site like Spaceport New Mexico. At some point, space commerce may outgrow such mixed-use facilities and New Mexico’s investment will start to look prescient. At the moment, however, no one can predict how soon that day will come.